Many of you out there have played Codenames from CZE. I... actually haven't. But it's one I've been meaning to give a shot. Well, there will certainly be the opportunity to do so in the future, as USAopoly and CZE are teaming up to bring you licensed versions of the game. I hope your new year is full of all the gaming you want. My the dice roll in your favor. But as we look forward to the future, we must look back and reflect on the past... namely, we need to look at some reviews for games. So let's get right to it. 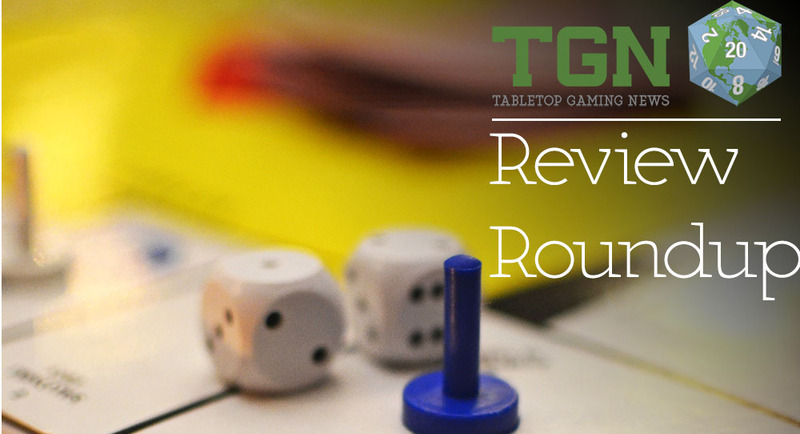 Today's review article topics include: Isle of Skye, Diamonds, KLASK, T.I.M.E Stories: The Marcy Case, Codenames, Le Havre: The Inland Port iOS, and Dark Stories.